Deploying a secure network in a small- to medium-sized office seems like it has a lot of moving parts, but once you understand a few networking basics, selecting the right gear for your needs can be a straightforward process. We talked to the network experts on the NeweggBusiness IT team, asking them for their recommendations on common questions SMB owners have about building their office network—focusing on BYOD considerations, and configuration of switches and wireless access points. HardBoiled: If a business wants to use its Internet connection for multiple purposes—networked PCs, a small shared data center, VoIP, wireless BYOD—what kind of gear should they be deploying for the most seamless networking experience? NeweggBusiness IT: In a situation where several different types of devices are connecting to the Internet, you’ll want to deploy a switch and a wireless access point (AP), and they should both be power over Ethernet (PoE) devices. A PoE connection will not only network the devices, but supply power as well, simplifying the setup and reducing the number of cables running across your office. HB: I noticed that switches range greatly in price. What is the difference between something like Cisco Small Business SF200, which retails around $350, and the next level up, the SG200 model, which retails for over $1200? NEB IT: Performance. The switching capacity and packet size are tremendously different between the SF200 and SG200 models. In short, the SG200 can process bigger chunks of information on the network in a faster manner. If your office operation entails high volume or large files moving across the network, you would benefit from a high switching capacity device—transference occurs in a much more timely fashion. Which one you select is dependent upon your business needs. HB: It is common for a small business to overload its entry-level wireless router as it starts to grow, especially when high-throughput appliances are introduced into the network. What kind of specifications should SMB users looks for when upgrading to a business-grade wireless router? NEB IT: It comes down to the question of measuring a company’s network performance, and that means taking into account sufficient security, scalability of hardware and applications, communication—whether there is VoIP, video conferencing, or communication software requirements; if there are redundant connections to the Internet, network management reporting and monitoring, alarms, compliance verification, and capacity. Investing for virtualization, enhancing mobility features, or implementing ERP or other software solutions—all of this is dependent upon the business needs. There is no hard and fast rule, unfortunately. HB: Wireless APs transmit at several different channels and standards b, ac, n, etc.—which is typically the right choice in an SMB environment? NEB IT: It is dependent upon the office size and wireless connectivity. Considerations about guest access should be made if people come to meetings at the office and want to connect to the network with their mobile devices. That said, SMB-class routers commonly use 802.11n. It is at least twice as fast and it has better range and stability. Single point setup capability is a popular feature for heavy users because it simplifies configuration and deployment of multiple access points. This utilizes 802.11ac and the Gbps Ethernet (GbE) PoE LAN port. If your office has more than 20 wireless users, adding a second AP is probably a good idea to combat network congestion. HB: What can you tell us about plug-and-play network devices and security? NEB IT: Security experts advise that a networking feature known as Universal Plug and Play (UPnP)—a feature that network devices use to discover each other—be disabled on routers, printers, and cameras. Having said that, you need to apply a set of configurable rules to deny or allow the connection in a firewall setting. Disabling UPnP goes a long way in securing access. 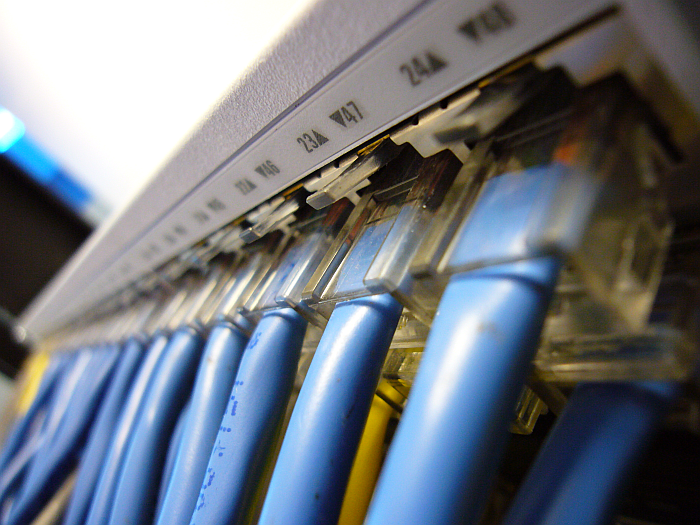 If you would like more information on office networking equipment and setup, check out our other available resources. In addition to these, you will find detailed specifications on the individual product pages for networking equipment sold by NeweggBusiness. We hope that these networking basics provide the clarity and understanding you need for selecting the right gear for the job.